Happy release of Twin Peaks: The Entire Mystery and The Missing Pieces day! Like so many of you, I’ve waited decades to see the scenes cut from Twin Peaks: Fire Walk With Me, and having watched them over the weekend for Rue Morgue Magazine, I can tell you that you won’t be let down by what David Lynch has compiled. I’ll let you know when the review is published; in the meantime, here’s my friend Kimym Robertson unboxing the brand new Blu-ray set! You humble Editor-In-Chief also has the Wrapped In Plastic: Twin Peaks blog, for his upcoming book of the same name. 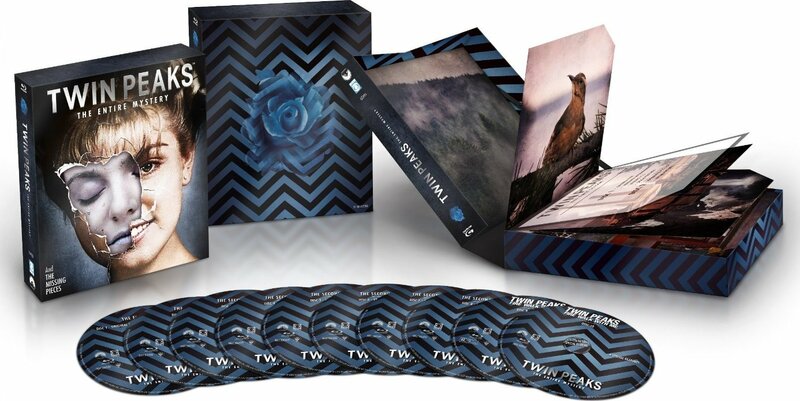 Here’s today’s post, celebrating the release of Twin Peaks: The Entire Mystery on Blu-ray.